As tip offs goes this was the real deal. 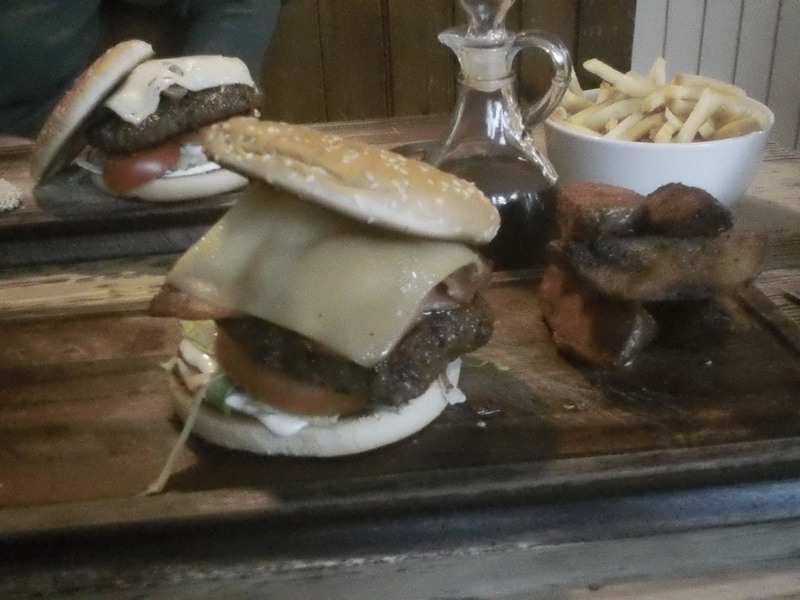 I had heard that there was a pub in Nottingham where an American lady was putting out really good authentic American Hamburgers. There were some really great sounding combinations on the menu, many of them musically named such as the “Lemmy” burger with cheddar, jalapeños and Jack Daniels mustard, or the “Elvis Burger” (with peanut butter and jam). Add to that the “Codfather” with toppings of breaded fish and tartare sauce, and even a burger topped with Sunday Dinner, Roast Beef, stuffing and roast potatoes. The Mushroom Swiss was slightly better done than the Bacon Cheese burger, veering closer to medium well than medium, but it was still thick and juicy. The meat to filling ratio was winning, it could have done with a bit more cheese and mushroom, but having said that it was still very good. 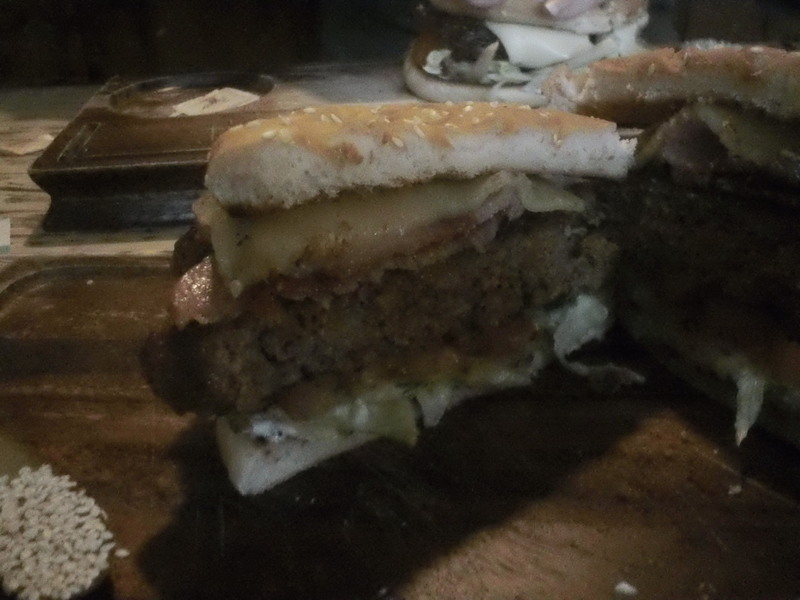 The Bacon Cheese burger was my favourite of the two, it had plenty of bacon, cheese, and salad filling in it to counter the thick meaty burger. 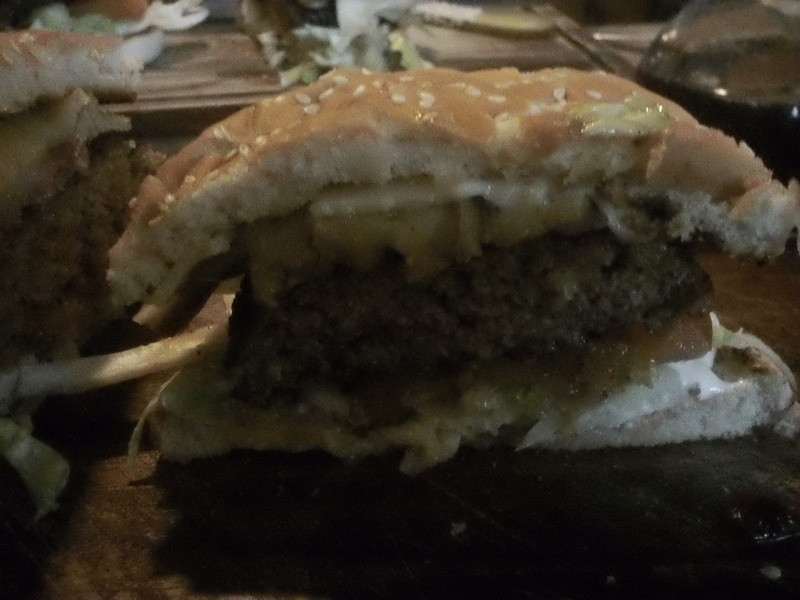 This did mean that it was hard to get your mouth around it, but that was no problem and actually added to the authenticity of the burger, it was just like most of the really good burgers I have had in the states, as in way too big. 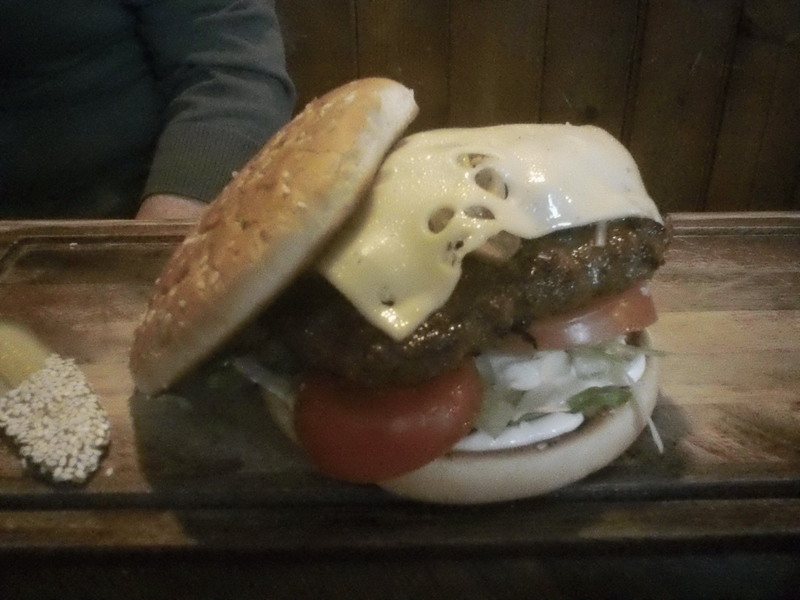 This burger was medium cooked and was still very juicy, my only slight issue was in the bun which was a bit too thin to hold the burger together. But that is so minor a critiscm and to be honest sometimes in the states you get too much bread around the burger, so it is a difficult balancing act. 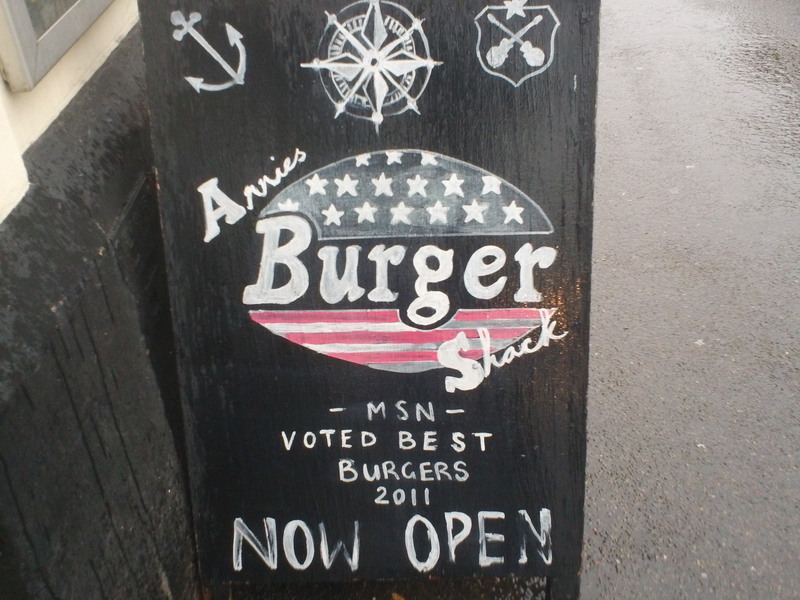 Annie’s shack is really worth coming too, If you are an American in need of some food from home, or a local curious as to what a ‘real’ American burger tastes like, then this is your port of call. It is on the fringe of the 5 minute walk radius from the Station Street NET stop. The boundary is on the other side of the road at Wilford street, so just walk a little bit quicker!